Eric Spindt joined Commonwealth Financial Group in September of 2014 as a Co-General Agent. He started his career at MassMutual as a General Agent of the Oregon agency in August of 2011. In his role as Co-General Agent, Eric is responsible for setting the strategic direction of the firm, driving the value proposition in the firm, mentoring advisors, and growing the team of financial professionals throughout the New England region. Eric is also responsible for building the expertise, infrastructure, and planning philosophy of the firm that differentiates the advisors of Commonwealth Financial Group from the rest of the industry. 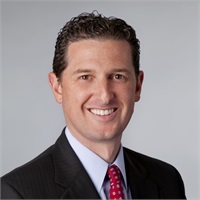 Eric began his career with Prudential in 1998 after receiving his Bachelor's degree in Psychology from Brandeis University. After 6 years of success managing his practice, Eric joined New England Financial as a Managing Associate where he was responsible for building a team of financial advisors in the Boston area. In 2011, Eric and his family moved to Portland, Oregon, to take over the MassMutual Oregon agency. Under his leadership, the agency experienced tremendous growth, setting numerous agency records. In 2014, Eric was recognized as a "Forty under 40" executive by the Portland Business Journal. Due to his success in Oregon, Eric was offered the opportunity to return to MassMutual’s Boston office and join Commonwealth Financial Group. Eric has also been actively involved in Special Olympics as a coach, fundraiser, and board member where is he currently the vice-chair of the board. Eric coached basketball, floor hockey, volleyball, and golf for the Belmont Chapter of Special Olympics Massachusetts. For his commitment to the Belmont Special Olympics, he was awarded Coach of the Year honors in 2001. Additionally, Eric is a co-founder of BioBall, a fundraiser that has raised over $1,500,000 for Special Olympics in the last 13 years. For his contributions to Special Olympics with BioBall, Eric was inducted into the Special Olympics Massachusetts Hall of Fame. Eric holds the FINRA Series 6, 7, 63, 65 & 24 as well as state Life, Accident & Health registrations. Additionally, Eric hold the designations CFP® practitioner and CLF® (Certified Leadership Fellow). Eric resides in Framingham, MA with his wife Jennifer, and their three children, Ethan, Alexandra and Charlotte.